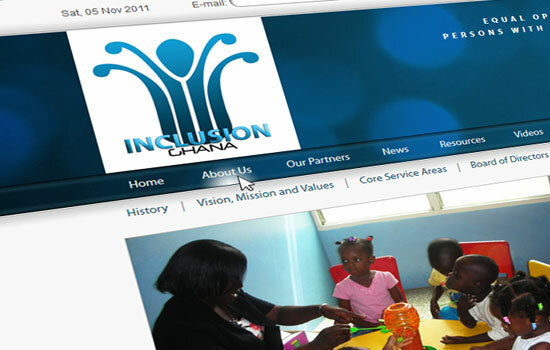 We are proud to launch today the completely redesigned version of Inclusion Ghana Website, with enriched content and new functionalities. Sign up now to our monthly newletter to receive the latest news. Also check out our new blog, our Facebook page and follow us on Twitter! And don't forget to submit your feedback using the feedback form. 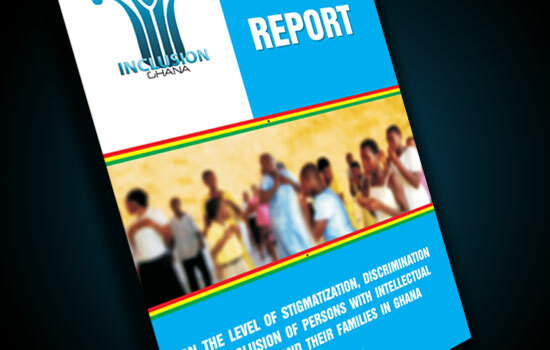 The baseline report on the level of stigmatization, discrimination and exclusion of people with intellectual disabilities and their families in Ghana is now available for download in the Resources section. It delights me so much to see you all travel from far and near to witness this momentous occasion - the launching of the Awaawaa2 week. You may already know about the many types of disabilities, there are indeed degrees; some are visible, others hidden; some temporary, others permanent; we have the cognitive, developmental and many others. In many ways there has been relatively a huge amount of progress over the last 20 years in the areas of deaf, visual impairment, physical disability, even albinism but you would hardly hear about communication disability and intellectual disability. Much of the progress made was as a result of individual and /group advocacy and activism on some of these issues. Today we are gathered here to open up discussions on communication disabilities which is long overdue. In other circles, a communication disability is known either as language, speech & hearing impairments or disorders, or even communication disorders. When you hear any of these they are actually talking about the same thing. You will agree with me that language, in form of speech production is unique to human beings and this is what differentiates us from other animals. Language serves as a tool to communicate ideas, information, emotions, feelings and belief. Can you imagine a person who has difficulty to do any of this because he/she has a communication disability? Again imagine you were a service provider say you work with Electricity Company of Ghana and on the other end of the phone is a stammerer who is making some enquiries or making a complaint, and you realize he /she is having difficulties expressing himself/herself. Let's be honest: probably you would be annoyed and either hang up on such a person or you may be laughing or tell your colleagues about it. Do you think such a person would feel confident enough to come back to you again. The same sorts of issues arise in education. Friends laughing at their colleagues with communication or intellectual disabilities. What the Awaawaa2 initiative is all about is that don't judge persons with communication disabilities or intellectual disabilities by what they can do by what you think they can't. Embrace them rather. Let�s all join the awaawaa2 week and make a Ghana of difference in the lives of persons with communication disabilities. 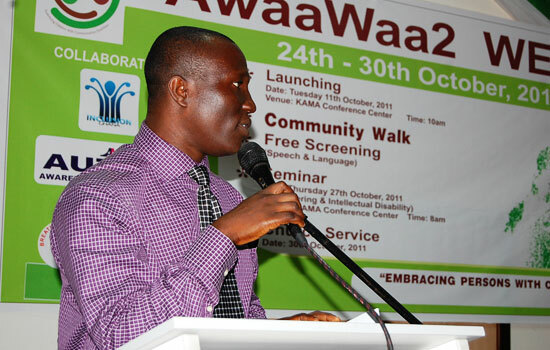 I congratulate Awaawaa2, AACT and Inclusion Ghana for working in partnership to put this week long celebration together and I congratulate the media for well attending this event to spread the news about the challenges persons with communication disabilities are facing and the support they need. Most of all, however, I congratulate you for being part of this great launching. We do appreciate you for taking off some time of your busy schedules to be part of this launching. Thank you for the chance to speak with you today.